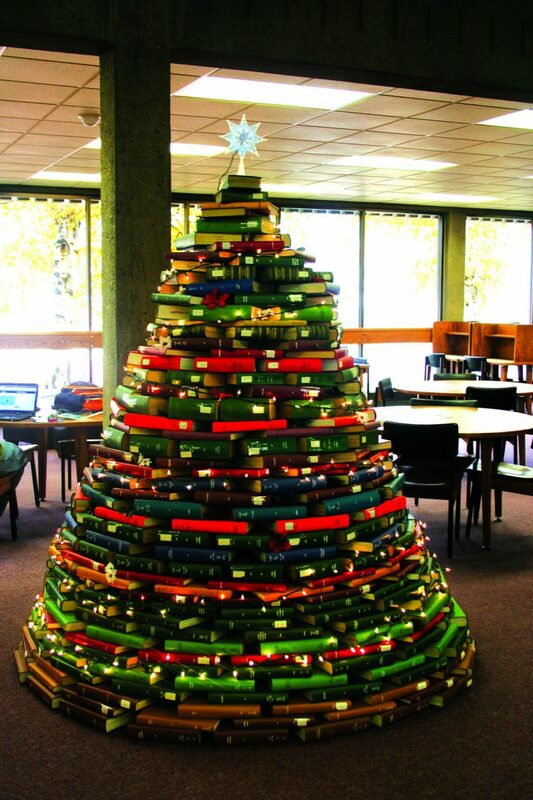 Lori Brassaw had the idea of a Christmas tree made out of library books and asked Aimee Lauritsen to bring it to life. The tree is composed of over 600 different colored library periodicals. The books are stacked in a conical shape and isn’t hollow.